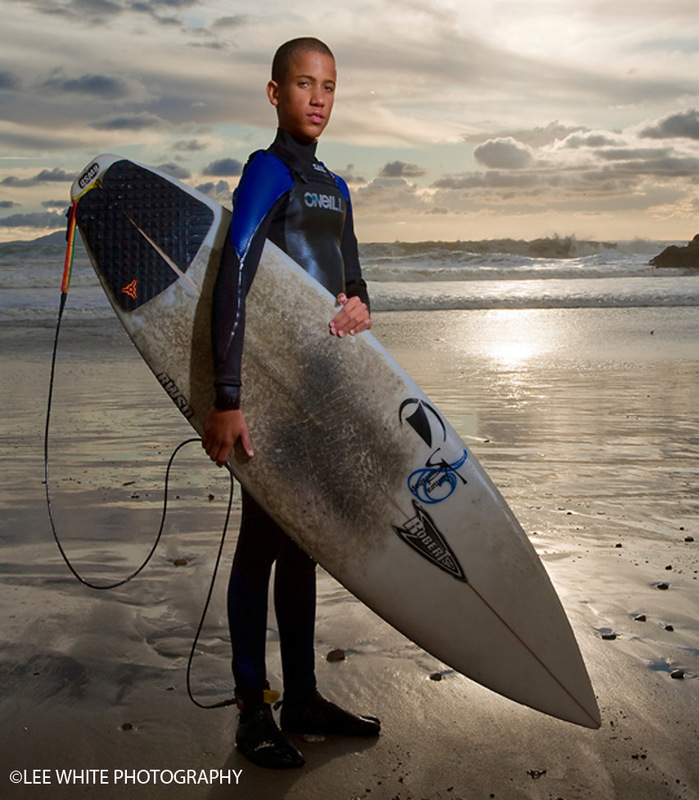 Being an advertising and editorial photographer and videographer in Los Angeles I have spent decades going on location. My advertising and editorial photography assignments have taken me around the world but some of the most fun have been local assignments that I can drive to within a day. This is specially true with what has happened with air travel lately. Not only do I get to take extra equipment, but I get to visit additional locations along the route. I get to stretch my shooting eye along with my legs at these photo stops. Recently, I drove to Tucson Arizona from Los Angeles so had the chance to drive through the sand dunes near Yuma on I-8. I got there around 3:30 in the afternoon when it was a balmy 105 degrees. 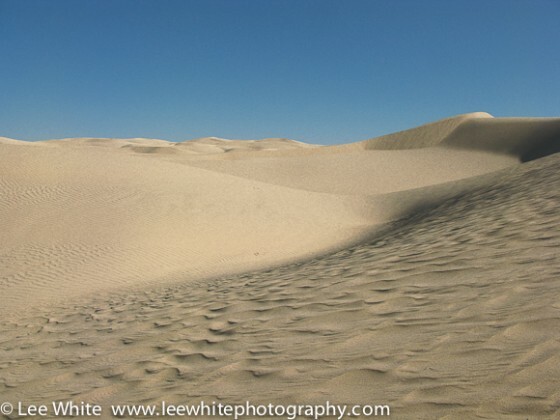 There were mild gusts of wind that blew the extra fine sand swirling around my feet. If you watch the video the video closely you will see it flowing over the surface in some of the shots. Can you tell I edited this on Premiere Pro? Of course, not. Unlike cameras with particular compression formats or lenses with certain characteristics that might be visible in the final video, there is nothing to tell the viewer what software was used to edit the video. A long time Final Cut Pro user I am checking out other NLEs. The attached video was done in a few hours on a friend’s Premiere Pro system. I had the chance to spend a day training on Premiere Pro in a class by Weynand training at DV Expo in Pasadena, now called Rev Up Transmedia. I found Premiere Pro to be very similar to FCP7. There are some useful features like being able to edit many formats without the need to transcode and the speech to text. There are a are some differences in shortcut keys, color correction, rendering and I’m sure more once I have had a chance to work with Premiere Pro in my own editing suite I’ll find more. Once again, I’m wearing the most comfortable hat I have ever had, the Redrock Micro cap. Being a advertising photographer and videographer in Los Angeles, California, the DV Expo 11 from Sept. 20-22 in Pasadena is three days of new information about digital video following their log line of “Bold, Fresh Ideas to Inspire and Excite is a natural to attend. Tuesday was a day of conference training where I was lucky enough to sit in on some of Diana Weynand’s Final Cut Pro X training. I enjoyed the methods Diana used in explaining the intricacies of the paradigm change in the Final Cut Pro editing software. She had several assistants that helped attendees follow Diana when they needed help which kept the class moving ahead while not leaving anyone behind. A following blog post will discuss my impressions of Final Cut Pro X for professional advertising and editorial photographers getting into video. Wednesday was another day of training and the opening of the Expo exhibit. I sat in on the Weynand training of Premiere Pro with another trainer. Since Premiere Pro is very much like earlier versions of Final Cut Pro following the training was easy but exposed me to Adobe’s tools placement and short cuts. It might be a natural fit for the advertising and editorial photographers already familiar with other Adobe software. Watch for a posting on my impressions of Premiere coming soon. At noon the exhibit opened so during lunch and the breaks I got the opportunity to see the latest in gear. Some of my favorite exhibits were there AJA, Carl Zeiss, Litepanels, Marshall Electronics, Panasonic, and SmartSound software. Even if you don’t go to any of the conference training it is well worth the time to see the gear in the exhibits and attend the free hour-long sessions taking place around the exhibit floor. You get to talk with manufacturer’s reps that really know their equipment and see the latest they have to offer plus sometimes even a peek into the future. The hour long free sessions cover a wide variety of DV related topic and you might be amazed at how much many of these speakers fit into an hour. On Thursday there is a free session at noon by Jan Livingston on the Panasonic AG-AF100 that will give you a detailed understanding of the features of the popular new camera. For more information on attending go to www.dv.com. They also publish some outstanding online and printed magazines covering digital video. Newspace Center of Photography was the perfect setting for my Friday evening Secrets of Video for Photographers seminar. We set up in the newly constructed main gallery surrounded by photography by local photographers. There were an interesting variety of photographers from advertising, editorial, commercial, corporate, architectural, wedding and portraiture that attended my presentations. Today’s photographers realize the need to get into video from the many requests they get from clients. Saturday’s workshop was a combination of studio owners and some employees from Pro Photo Supply. The photographers were either getting into shooting video or sharpening their video skills by being introduced to new video techniques/products and their uses. The Pro Photo Supply employees both helped out with support and educated themselves on how to better advise customers on the products available to make shooting video easier. Videos by photographers are more important than ever in today’s environment. Discover what today’s Art Directors, Editors and Art Buyers are saying about video by photographers. Become informed about the ways you can use video to promote yourself and where you can place your videos to be seen. Hear what advertising and editorial photographers already shooting video are saying. Find out if short form or long form is right for you and your clients and you can use your present still photography in video. 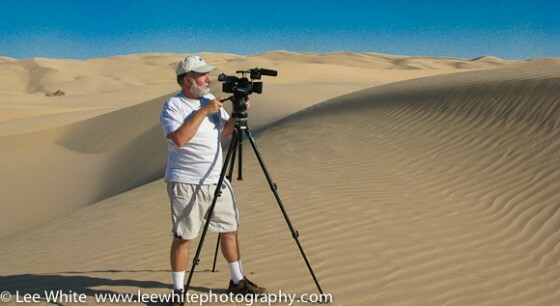 Come join Lee White, professional photographer/videographer and college instructor as he guides you through the tools and techniques needed to help you make video without pulling your hair out. How to handle the “creative call” and put together a “treatment”. Avoid the common mistakes that ruin most novice videography. Learn what camera settings on your HDSLR for video mean and how best to set your camera for different situations. Find out how to do good audio recordings. See what video gear can help you make better videos. Find out what is involved with editing your video, adding music and getting it out. Whether you are a beginning, advanced or professional photographer, you can advance your visual storytelling with video in exciting new ways. You can turn your pictures into moving pictures. Don’t miss this opportunity to hit the ground running in your adventure into video. Smartsound will be providing free royalty free music and soundtrack software for every attendee. Friday night DOOR PRIZE: G-Technology G-Drive mini 7200rpm harddrive – perfect for editing video. Hosted by Pro Photo Supply and ASMP Sponsored by Chimera, Manfrotto, Panasonic, Apple, Zeiss, Beachtek, Smartsound, Sennheiser, Hoodman, Indisystems, Manhattan LCD, G-technology, AJA, Red Giant Software, Anton/Bauer, Logicboard, K-Tek and Casio. 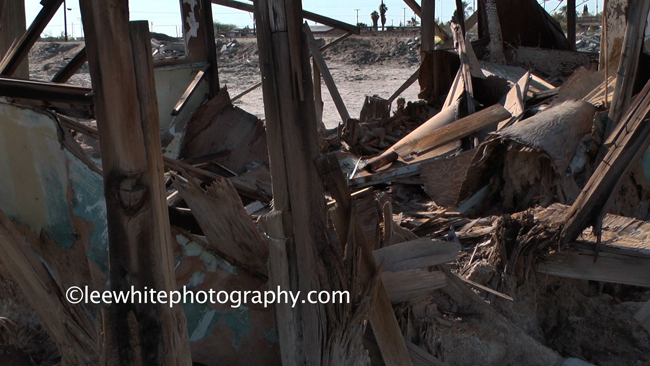 The Panasonic HMC-40 was the perfect companion to shoot at the Salton Sea. I recently enjoyed four days on a Salton Sea photo trip with 50+ photographers where I gave a video seminar and spent hours talking about video with photographers. The questions asked were as varied as the type of photographers represented. We discussed video equipment, software, revenue streams and how video is fitting into the photographer’s workflow. Back to the Panasonic HMC-40 which has, among other things, two capabilities that I find very useful: waveform and simultaneous viewfinder and LCD viewing. As I have talked about before, the waveform represents the exposure values much like a histogram set on its side. Near the top of the scale is 100 percent which is white with no detail in the highlights. Near the bottom is 0 percent which is black with no detail in the shadow areas. The waveform is produced real-time in the LCD so it makes it easy to judge exposure. Couple the waveform showing in the LCD while I use the viewfinder to see my framing even in the bright sun around the Salton Sea and you have the perfect combination. I could easily switch back and forth from viewfinder to LCD checking both exposure and framing as I made a camera move through a shot. Check out the shadow detail recorded in this shot that starts out backlit directly into the sun. Using the waveform I can easily place the exposure values right where I want. Secrets of video for photographers is coming to Portland for two events that takes away the mystery of video production and replaces it with solid information. More than just tech talk, Lee White also goes over ideas on how to increase revenue streams and creative strategies. The evening seminar is two hours jammed packed with need to know info! All attendees will receive free SmartSound music and SonicFire music editing software . Taking the step from stills to video can be a challenging one. You will have to learn how to deal with motion and sound, tell the visual story in a different way. There is new equipment to master. Post-production can be much more involved and time consuming. The explosion of interest in video both by clients and photographers in the last couple of years has opened new creative avenues for photographers. More photographers are being asked to create video content so are facing new challenges in estimating, production and post-production. Come and learn about the latest tools and techniques needed to create video. Learn how to better estimate the time and costs involved and how you need to approach video differently than stills while using your photographic talents to your advantage. 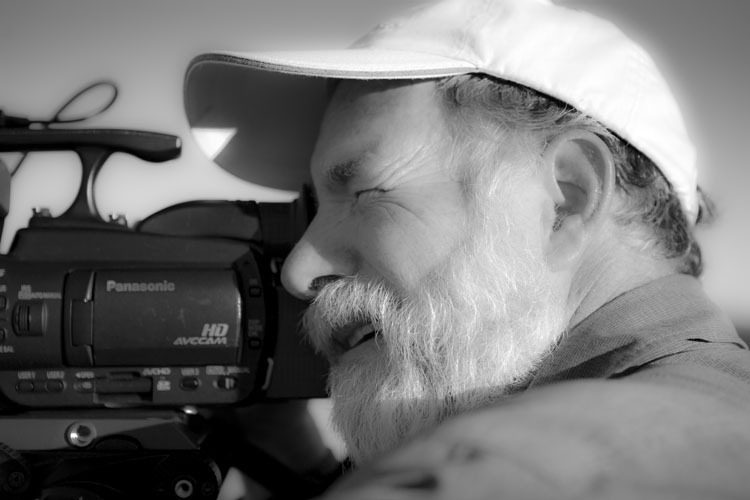 Lee White’s evening lecture presentation and videos will go over the steps photographers need to know in creating video without tearing their hair out. The latest equipment and software by sponsors Apple, Manfrotto, Panasonic, Zeiss, Sennheiser, Beachtek. Red Giant Software, SmartSound, G-Technology, Indisystems, Chimera and Casio will be at the event for photographers to see. This fast paced all-day workshop is not to be missed. Photography and video are coming together. In the last couple of years, the idea of photographers producing video has exploded and photographers now must gear up and learn the language of video. As advertisers and magazines turn to video on the web, cable and mobile devices to get out their message, there are more opportunities than ever for you to do video in tandem with your photography to capture new clients and sell video services to existing clients. Producing video creates fundamental changes to your workflow. It requires new tools and techniques to take the step from photography to video. You need to learn what the new technologies mean to you from a photographer’s point of view. This is why Lee White, a professional photographer and educator, has created an intensive all day workshop to help guide you into video. This hands-on workshop will go in depth about each step of video production so you can start producing your own video and avoid some of the most dangerous pitfalls. In the morning, Lee White will go over the fundamentals of video production and direct a plan for a shoot for the afternoon. In the afternoon, we will shoot, and edit and color grade the video. The latest equipment and software by sponsors Apple, Manfrotto, Panasonic, Zeiss, Sennheiser, Beachtek. Red Giant Software, SmartSound, G-Technology, Indisystems and Casio will be at the event for photographers to see in action. 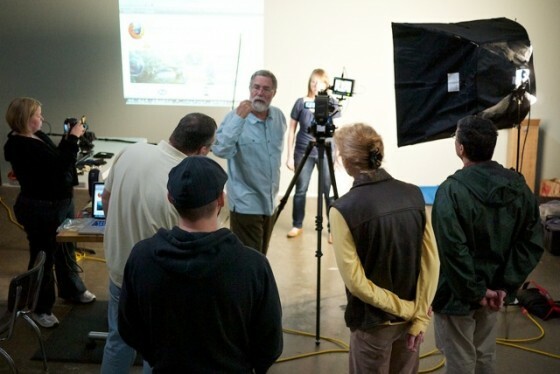 Lecture and workshop are sponsored by Pro Photo Supply and ASMP Oregon. The new workshops are here! All of you that were nice enough to pester me about doing more can relax. Hopefully, there will be one near you. Once again, I’m kicking off the series in LA. This year they are on February 24 and 26 at the famous Fairbanks Studio with a flurry of events to follow. Lee White’s evening presentation including videos will go over the steps photographers need to know in creating video without tearing their hair out. The latest equipment and software by Apple, Manfrotto, Panasonic, Zeiss, Redrock Micro, SmartSound, Sennheiser, Beachtek and Chimera among others will be at the event for photographers to see. Parking is free, please go to www.tiny.cc/LAevening for directions. How much: APA/ASMP MEMBERS are $15 all others $25 *Please put membership number in special instructions to seller and a discount refund will be given at the workshop as the APA/ASMP member enters. Producing video creates fundamental changes to your workflow. It requires new tools and techniques to take the step from photography to video. You need to learn what the new technologies mean to you from a photographer’s point of view. This is why Lee White, a professional photographer and educator, has created an intensive all day workshop to help guide you into video. This hands on workshop will go in depth about each step of video production so you can start producing your own video and avoid some of the most dangerous pitfalls. In the morning, Lee White will go over the fundamentals of video production and direct a plan for a shoot for the afternoon. In the afternoon, we will shoot, and work with a professional editor from Hollywood-DI to edit and color grade the video. The latest equipment and software by Apple, Manfrotto, Panasonic, Zeiss, Redrock Micro, Sennheiser, SmartSound, Beachtek and Chimera will be demonstrated. You must register by Friday, February 25 because this is taking place on a movie lot and security needs your name to let you in! Parking is free in the lot but we must have you registered so security can let you in. You will get directions upon registration. How much: $149.95 APA/ASMP members will receive a 10% discount refund* on confirmation of valid membership. *Please put name and membership number in special instructions to seller and the discount refund will be given at the workshop as the APA/ASMP member enters. 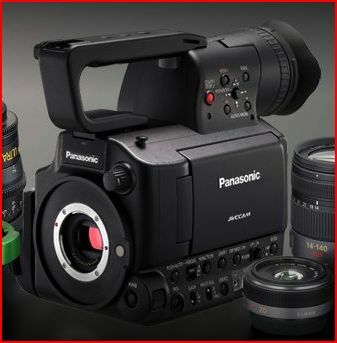 California photographers rejoice, the Panasonic AF AG100 video camera is now being shipped! The Panasonic AG AF100 is already in New York will arrive in Los Angeles just as the rains subside. Wow, what an incredibly busy time leading up to the holidays! Clients seemed to be determined to get everything done in the last few weeks of the year so I have not had time to post. I did get a breather just in time to see the demo of the AG AF100 at EVS matched up with the extraordinary Zeiss Compact Primes. 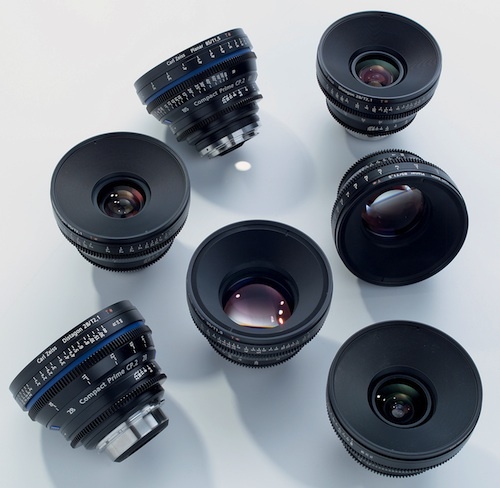 The Zeiss Compact Primes work beautifully with the AG AF 100 along with a variety of other cameras. Plus, the RedRock Micro support systems match with the camera/lens combination to make a professional rig. As you might remember from my past posts, the AF AG100 has the Micro Four Thirds sensor giving that cinematic shallow depth of field that is so desirable. But it doesn’t stop there; the list of attributes is quite long so I will only mention a few for now. The AG AF100 accepts a variety of lenses including the above mentioned Zeiss Compact Primes and HDSLR lenses with the correct adapter. The Panasonic AG AF100 shoots in the AVCHD format giving excellent results on to SD/SDHC/SDXC cards which are very affordable . It records in multi HD formats at variable frame rates which is amazing for a camera priced this low. It has HD-SDI output and XLR inputs and a large easy to see with viewfinder. It has most of the features you would find on a much higher priced professional video camera. Many of the controls are manual on the camera body so you don’t have to spend time punching through endless menus. It appears to be a winner. As a busy advertising photographer that also shoots video, I am always looking for tools that make my job easier. The right tool can make for a faster and more professional outcome. One function that video cameras like the Panasonic HMC 40 have that is still lacking in the HDSLRs is the waveform. Photographers might think of the video waveform as the histogram turned on it’s side. The bottom of the waveform (0) is like the left side of the histogram as it shows the shadow / dark values. The top of the waveform (100) is like the right side of the histogram showing the highlights / bright values. And just like the histogram, if the waveform bottoms out at or below 0 there will be no information in the shadow /darkest values. The same holds true with the highlights / bright values, if the waveform peaks at or above 100, there will be no information in the highlights / brightest values. In the picture below you can see the waveform in the LCD screen of the Panasonic HMC 40 where I have put a red box around it. You can also see that the waveform does not touch either the top or bottom of the scale so there are no burned out highlights or dropped out shadow areas. 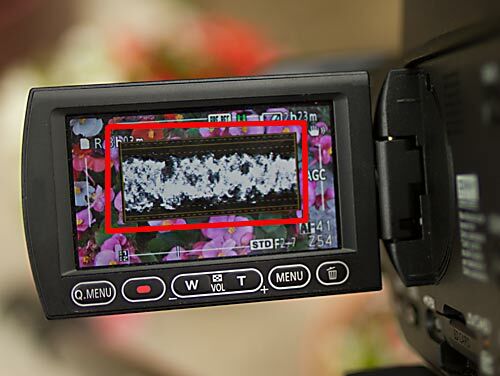 The waveform can help with both exposure and contrast ratio information as you shoot video. The biggest difference is that you can see the video waveform as you view and shoot with the video camera rather than needing to shoot a still with the HDSLR and pull up the image file to view the histogram. This makes adjusting exposure and judging contrast a realtime event, not an after the fact method. Realtime saves time and I need all the time I can get while shooting.